Session 3: Indifference or Compassionate Action? Jesus calls on all of His disciples to show compassion to those in need, regardless of race, gender, economic status, political persuasion, religion, or any other factors that can separate people. Like the Samaritan, we must be willing to alter our plans to help someone. Sometimes we need to stop what we are doing and show the love of Christ to those in need even if they hate Him and us. The parable of the Good Samaritan focuses on the responses of three men to one injured man. Their responses can make us feel uncomfortable because we have often offered excuses for not helping or for not demonstrating compassion when it is most needed. The purpose of this parable, however, is not just to make us feel uncomfortable but to challenge us to respond to situation in the right way—in a way that reflects the love of Christ and brings honor to God. 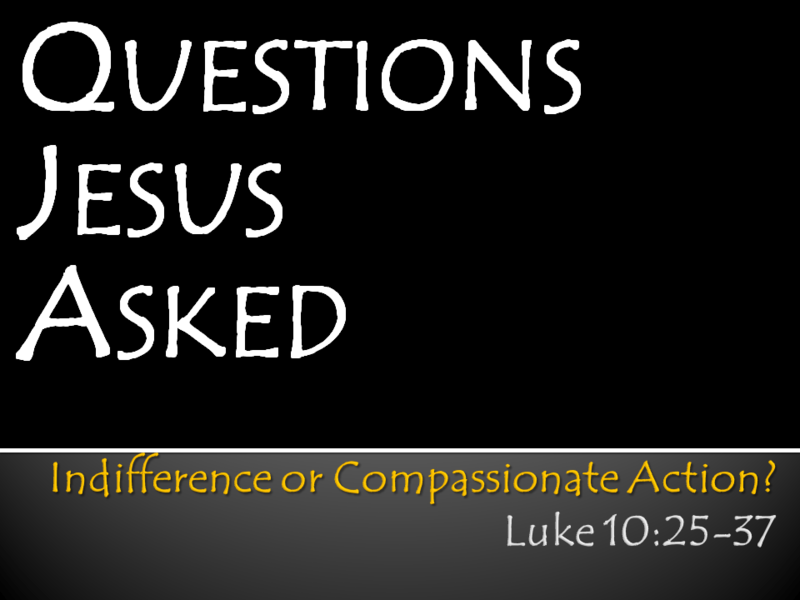 PowerPoint Slides: Session 3 – Indifference or Compassionate Action?